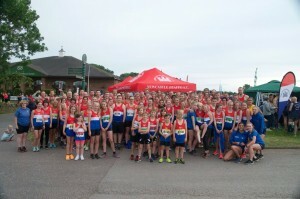 Wednesday night saw the ever popular Showground 4 x 2 mile relays held at the Staffordshire county showground, Stafford. We had a huge turn out of athletes with 100 runners from the club taking part, in various categories from under 56 years to super veterans 200+! 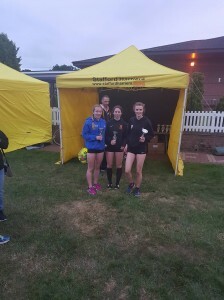 We had great success on the night with our Senior Ladies teams finishing first and second, our U/64 years boys finishing second (and 4th overall!) and our U/64 Girls finishing second. 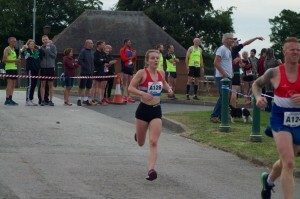 Rebecca Twardochleb was fastest lady. Congratulations to everyone who took part in such a great social club event.